This is great stuff. Thanks for sharing Chris! have you thought of using FIND instead of PATHCONTAINS? Yes, that’s an option but it’s less robust I suppose: what happens when you have one parameter value that appears as part of another parameter value, for example “web” and “Webb”? Both approaches have same result and response time. I don’t know what you mean, sorry – can you explain what you want to do in more detail? Hello Chris, been reading about your posts for SSRS and DAX and I can’t thank you enough. They have helped me sooo much in one of our projects. I have a question, referring to your example mentioned above, is there a way to include a member “All” that would basically get all the values for the Weekdays (Like we have in MDX). Thank’s a lot Chris, the RollUp function helped solve my issue. Hello Chris, I implemented the multi value parameter as you mentioned in the blog and my reports are now running as expected. However I’m trying to implement an additional feature and wanted to see if you came across something like that before. The idea here is that if the user selected ALL then I’m using a filter that basically selects all values instead of having to go through the pathcontains function. Hmm, I’m not sure. I guess the problem here is that you can’t return a table from IF()? Yeah that seems to be the issue, IF doesn’t accept returning tables or DAX doesn’t accept the IF as a possible type for Tables. Just wanted to share a little finding, I found that removing the Substitute function in DAX and handling it in SSRS with Replace improved performance for reports that have large number of filters/parameters. Thanks Omar, that makes sense. 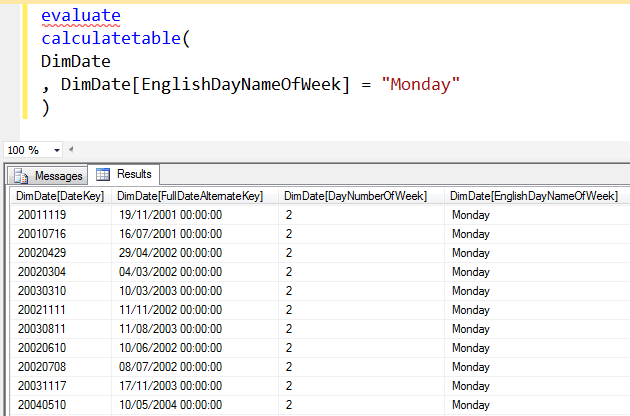 In fact, you could probably get much better performance by dynamically generating the DAX query using SSRS expressions, instead of writing the kind of complex DAX I use here. I’m actually looking into generating the Query dynamically to only apply the filter when All is not selected. Do you have any posts regarding dynamic DAX queries in SSRS? No, I don’t. Sorry! It should be fairly easy to do though if you know SSRS well. Thanks for all your blog posts! they’re incredibly helpful. I have one question about regarding the parameter usage in this though, why is it that you’re using the @ symbol for the parameters instead of using string concatenation? Would that work the same way using string concatenation? The @ denotes a parameter – both DAX and MDX support parameters. They’re much easier to work with than using string concatenation. 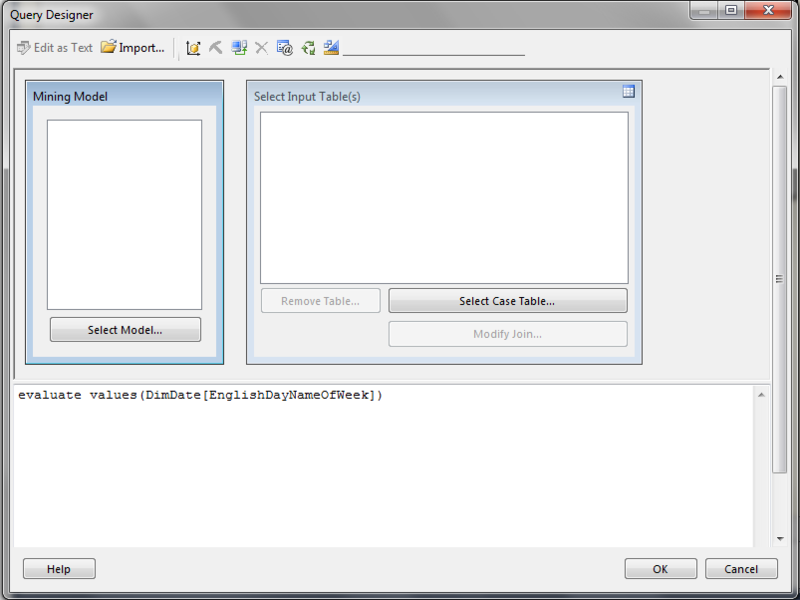 I would like to do something quite similar: pass a multivalue parameter in a SSAS Tabular Action (type Rowset). How can you pass a list of products for example to filter your rowset ? I manage to pass a single value filter but not a multi value…. 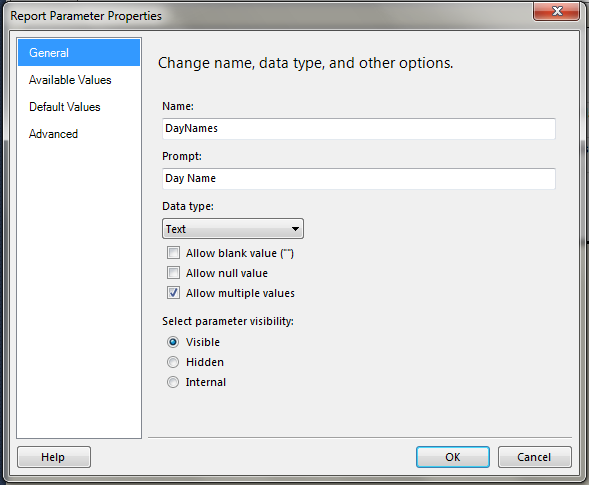 One option is to use the JOIN function to generate a delimited list from a multi-valued parameter. When I select 2 variables, the result set comes back empty. When I select 1 or 3 or more variables, the result set returns correct data. 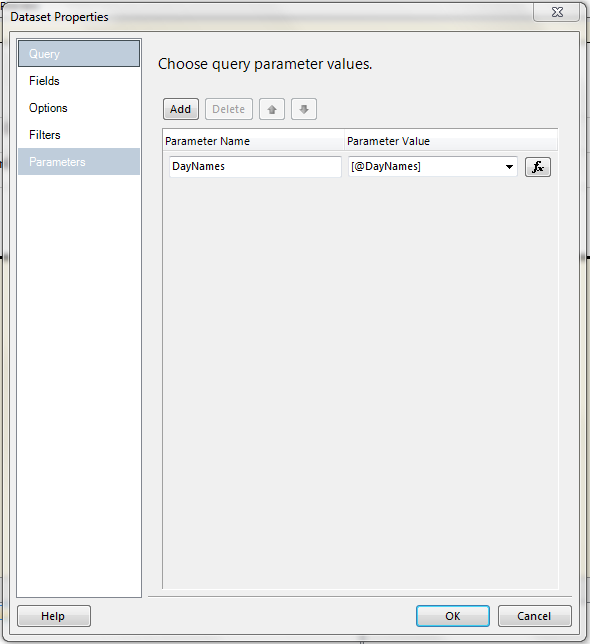 I have two parameters setup against this report using the PathContains pattern. They both have this issue. They work with any selection less than or greater than 2. Is this a common issue that anyone else has experienced/ resolved? I removed all substitute functions from the DAX, and wrote the Paramater to be an expression with Replace(). Now the query works as expected. I am not sure why there was an issue with the DAX Substitute() version. 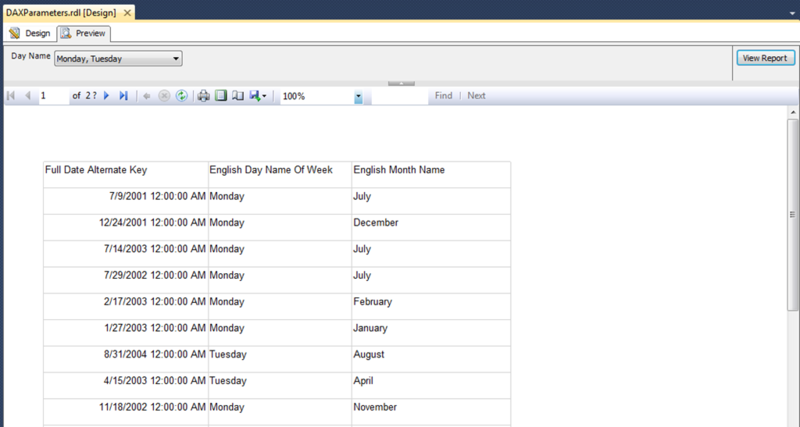 Can you please help me to add the “ALL” parameter in the SSRS report. I need the result below. 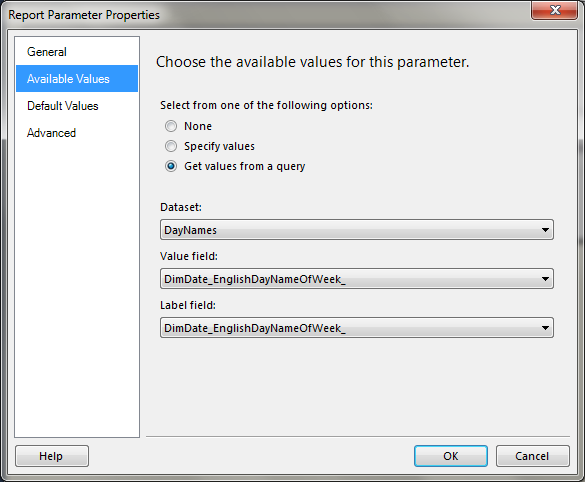 I am able to resolve the issue with multivalued parameter in SSRS, we have split the values into multiple rows using SUBSTITUTE and PATHCONTAINS function.